This experience, as your keynote graduation speaker, very much like my career in education was not a goal that I set out to accomplish. Instead, because of the collaboration of many others, has been just like my career in education – an incredible journey that I will value forever – a journey that has led me in front of you today. Today for you, just like Terry Bradshaw’s experience, is much bigger than just you. In fact as much as today is about celebrating your personal achievement of graduation – it’s not all about you. It’s about having a strong support network that I know supported you in this process. You know who that support network is – it is the faculty, friends, and family – make sure you thank them. In fact I would like for you to stand right now and join me in giving that support network a hand. Ladies and gentlemen, I want you to understand what I have said and continue to say about my educational experience and career – It is much bigger than me. Hopefully my journey of ending up in front of you today can serve as a platform for others to follow. Why is this bigger than me? Let me share with you my story of how I even ended up in education. I became a teacher because a professor at Purdue University cared, and pulled me into his office for a conversation one day that would change my life forever. Dr. Hobe Jones, my Purdue University Animal Science professor and counselor, said, “Byron, have you ever considered a career in teaching?” After giving what was probably a Hannah Montana type response of “You say what?” He knew I had not considered this as an option. After I promptly told him I had come to Purdue in Animal Science, and was going to graduate on time (keep in mind this was the spring semester of my sophomore year) he said, “Byron you are a great student and I will make sure you graduate on time.” Reluctantly, I agreed to graduate from Purdue with two B.S. Degrees. One which I never thought I would use – Agricultural Education and the other in Animal Science. It is interesting that with the focus now on content area mastery, I look back and really value my Animal Science Degree because it gave me the extra content area mastery to succeed during the teaching part of my career. It is Dr. Jones’ caring guidance that I tried to emulate every day as a teacher and now as a principal of an inner city school. Can you imagine if I would have had to plan out my life’s journey in exact detail at the time Dr. Jones was recommending I become a teacher? Why, I would have had that all screwed up. It’s about BEING PREPARED FOR WHAT YOU DON’T KNOW YOU NEED TO BE PREPARED FOR. Let me say that one more time – It’s about BEING PREPARED FOR WHAT YOU DON’T KNOW YOU NEED TO BE PREPARED FOR. Let’s break that giving back down by first looking at the University of Phoenix Mission and Purpose: University of Phoenix provides access to higher education opportunities that enable students to develop knowledge and skills necessary to achieve their professional goals, improve the productivity of their organizations and provide leadership and service to their communities. Notice it did not say that the University of Phoenix would award you a diploma, and you could then go have a party! I’m not saying that is not allowed, but I am saying we need to take a look at how you now live out the mission and purpose by which the University of Phoenix facilitated your education. Let’s break this down into three parts. #1. Access to higher education opportunities that enable students to develop knowledge and skills necessary to achieve their professional goals. 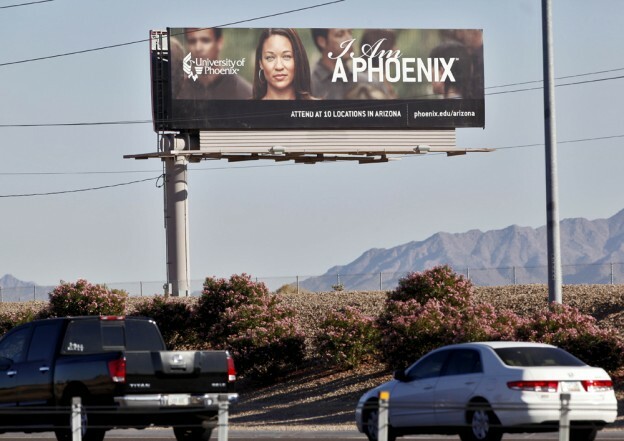 As you graduate, University of Phoenix has done their job for the first part of the mission and purpose, but only to the extent of your professional goals today. Realistically, those may change, or even be changed for you tomorrow. Again, remember what I said earlier, YOU MUST BE PREPARED FOR WHAT YOU DON’T KNOW YOU NEED TO BE PREPARED FOR! The beauty of this is you have been empowered with the foundational knowledge to become or continue to be a lifelong learner. My challenge to you is to never be satisfied! Continue to take on educational challenges. We all need to be pushed. Let me share one of my favorite parables. It is about the King who stood upon the banks of a mighty river with his daughter, the princess. His courageous warriors stood on the opposing bank. The warriors looked at one another, exchanged wary glances, and suddenly – splash! A hole appeared in their ranks. They noticed one of their own, a young warrior, in the river, fighting desperately to make the crossing. As the crocs slithered into the water, headed toward the young man, a collective shout sounded over both banks: the young man swam! His arms pumped, his back flexed, his legs churned the water like propellers. The roar grew louder as the young man disappeared into the undertow and emerged again – pursued by the razor-toothed, prehistoric-looking reptiles. With one last burst he catapulted out of the river and onto the bank, grasping the hand of the king himself, who’d reached down to pull the young man out of the river. You’ve been pushed. Now swim like your life depends on it! Now let’s look at mission and purpose #2. Improve the productivity of their organizations. I believe that one of the most important functions of any institution, no matter what level – k-16 and beyond, is to teach students to learn to learn. I know this is how University of Phoenix empowers their learners. No matter where your career is now or will take you, you must practice learning to learn and the sharing of that knowledge in the truest sense of a learning organization. In his book, Power: Why Some People Have It – And Others Don’t Jeffrey Pfeffer calls it “Feedforward,” which emphasizes what people need to do to get ready for the subsequent positions and career challenges they will confront…focusing on what you need to change to accomplish future personal goals can be much more uplifting than going back and reviewing past setbacks or considering areas of weakness. Finally, #3. Provide leadership and service to their communities. This one is of the upmost importance. You all have an obligation to become agents of social change. In other words, set out to make a life – not just a living. When you make a living, you pay your bills. When you make a life, you pay your debt. We all have a debt to be an agent of social change. Now I want to recap a couple of things. Don’t forget you must prepare for what you don’t know to be prepared for. Also you must learn to learn. And you must set out to make a life, not just a living. Make sure you are walking the talk and always remember you have the ability to at any time do what I call Byron’s three “R’s” of life: Retool, Reposition, and Re-Launch. By Retooling, Repositioning, and Re-launching, you become the lifelong learner that is always prepared for the next opportunity. Thank you for allowing me to have this BIGGER THAN ME experience and be part of your graduation!